The month of December is a great time to enjoy holiday activities throughout Hartford, Manchester, New Haven and surrounding locations. Sometimes, however, those holiday activities involve the consumption of alcohol. While having a drink or two in celebration of the festive season is not a problem, it becomes a major issue if you consume alcohol and then decide to get behind the wheel of a car. A personal injury lawyer knows an increase in drunk driving-related fatalities occurs each year from Thanksgiving to New Years Day. December is one of the worst months for drunk driving accidents and fatalities, and it is also the time of year when numerous campaigns are launched to try to prevent these types of collisions. 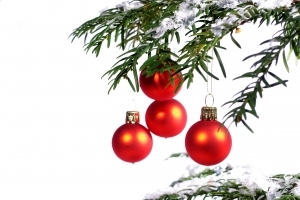 Prevention of drunk driving accidents in December is very important to keep the public safe. Every year in the United States, around 10,000 people are killed in collisions involving impaired drivers. According to True Car, there are also around 600,000 people who suffer injuries. 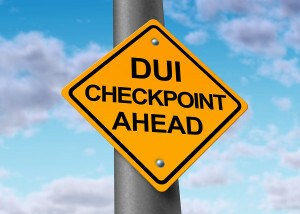 Around three in 10 Americans will be personally involved in a crash involving an intoxicated motorist, and the cost of impaired driving accidents exceeds $51 billion annually within this country. The holidays, especially the days surrounding Christmas and the days surrounding New Years, have a higher-than-normal percentage of deadly crashes caused by impaired motorists. Public education efforts aim to prevent this by reminding people of the danger of driving while under the influence. Anti-drunk driving campaigns have been going on during the month of December since 1982, when President Ronald Reagan declared that December would be National Drunk and Drugged Driving Prevention Month. In 2010, President Barack Obama changed the designation of this month to National Impaired Driving Prevention Month. Part of the reason for the change was to also draw attention to the problem of driving while distracted. Since 41 percent of crashes within the United States are related to impaired driving, public education efforts on preventing drunk driving crashes could make a big different in saving lives. As part of the public education efforts this December, advice is provided to individuals about how to reduce the chances of a crash happening during the course of the month. Party hosts can play a role in reducing the chances of drunk driving crashes happening. They can do this by stopping the serving of alcoholic beverages around an hour or so before their guests will be leaving for the night. It is also a good idea for those hosting holiday parties to make sure they have drinks around that are non-alcoholic for the designated drivers and to have a plan to help guests get home in case someone at the event ends up having too much to drink. Of course, ultimately drivers are the ones who need to stay sober to avoid holiday drunk driving crashes. Drivers are encouraged to find a designated driver who will take them home. They should do this before they start drinking so they have a plan in place, and they should also have a backup plan in case something goes wrong. If drivers take the risks seriously, hopefully they can avoid getting into accidents that hurt themselves or others. Contact a Hartford accident attorney today at the Law Offices of Mark E. Salomone & Morelli. Calling 1-800-WIN-WIN-1 for your free case consultation or visit http://www.salomoneandmorelli.com. Also serving New Britain and Norwich to Manchester, New Haven and the Waterbury-area. When a child receives a toy as a gift over the holidays, that toy should bring fun and joy. In some cases, however, the toy turns out to be dangerous. Kids throughout Hartford, New Britain, Norwich and surrounding areas could be injured or even killed by a toy that has a defect or that is simply unsafe. A personal injury lawyer knows that parents can help to prevent serious injuries in their kids by checking for recalled toys. They should also be aware of some of the highest risk toys on the marketplace so they can make informed choices about what gifts their children should receive this holiday season. The Consumer Product Safety Commission has worked hard to try to help reduce the number of kids who die from toy-related injuries. The CPSC has imposed requirements that all toys undergo independent laboratory testing to make sure they do not have lead or other hazardous chemicals and components. Toys are not allowed to enter the country if they come from elsewhere and have not been properly tested. There were nine children killed by playing with toys in 2013. Seven of the nine deaths happened due to asphyxiation and 22 percent of the fatalities were the result of accidents with riding toys. There were 256,700 children who were injured by toys during 2013 and who had to seek treatment at an emergency room as a result of the injuries. The face and the head area were the most likely body parts to be injured, accounting for approximately 44 percent of the visits that kids made to the emergency room. The reality is, nine deaths are far too many and the number may actually be greater. Further, the injury rate has not necessarily held steady as the CPSC reports. As News 10 indicates, when you factor in harm to children who were operating electronic riding scooters, or kick scooters, the rates of injury are much higher. In 1990, there were 18.9 children injured by toy-related problems out of every 10,000 children. By 2011, the injury rate had risen up to 26.9 kids injured per 10,000 children. Scooters may have been to blame for causing a 40 percent increase in the number of kids getting hurt. Over the course of 2011, a total of 195,363 children had to seek emergency room treatment due to injuries that were experienced while on a scooter. Parents need to know about the electronic scooter dangers, as well as about risks presented by recalled toys. As the CPSC reports, a total of 30 toy recalls happened during 2014 when it was discovered that toys that had come to the market were not safe for children to be playing with. Car insurance is supposed to provide you with coverage if you have an accident. 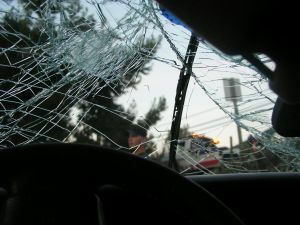 In the event that a crash causes injury, a personal injury attorney can assist in pursuing a damage claim and recovering money for medical bills and other losses from the person responsible for causing the wreck. Insurance is also supposed to provide the money to repair or to replace your vehicle if it is damaged or destroyed in a collision. When your car is declared a total loss, the insurer will pay the replacement value of the vehicle. This may not always be enough to get a car similar to what you had, and it may be difficult for you to actually find a vehicle you can buy that is affordable for what the insurance company pays out to you. When is a Vehicle Declared a Total Loss? The insurance company gets to make the decision about whether a vehicle is declared a total loss. The insured does not get to make this decision and your insurance company may declare your car to be a total loss even if you would prefer the vehicle was repaired. According to Claims Journal, an insurance company will declare that a car should be considered a total loss if it would cost more money to repair the vehicle than the car is actually worth. In some cases, this can happen with damage that seems minor to the naked eye. If the frame is bent or there are hidden defects caused by the crash, then the insurance company may declare it a loss. If you have a less expensive or older car, the insurer may also decide it is not worth fixing the vehicle if it is not practical to spend that much money on a lower value car. For example, if a car is worth only $4,000 and the cost to repair the vehicle is totaled at around $3,000, the insurer may decide it is not worth repairing the car because the repairs would be equal to 75 percent of the total value. The problem is when an older vehicle is declared a total loss, you may not actually be able to find a similar car in a similar condition for the $4,000 or whatever specific low amount of money is being offered. This is also an issue with brand new or newer vehicles, because they depreciate in value so quickly. Because of this problem, some insurance companies offer special policy options where those who total a new car are able to replace it with another new car. Although you don’t get to decide whether your insurance company totals your vehicle or not, you may have the option to try to argue for a higher payout than the insurer initially offers you. You can consider asking for more if you have clear evidence that the insurer is not providing what your car is actually worth. Contact an experienced crash lawyer for help. Daylight-saving time has come to an end for the year when the clocks changed in November. Although many people may appreciate the extra sleep, Time Magazine warns this added slumber can come at a big cost. A personal injury lawyer recognizes there is evidence to suggest daylight-saving time can make the roads less safe, resulting in an increased risk of motor vehicle collisions, especially those involving pedestrians or bicycle riders. Drivers need to be aware the end of daylight-saving time can be dangerous. Motorists should take extra care, especially in the days immediately following the change, in order to ensure they don’t put themselves, motorists or pedestrians at greater risk. When daylight-saving time ends, there is an extra hour of sunlight during the morning and it gets dark one hour earlier in the evening. As one University of Washington professor who studies daylight-saving time has asserted that darkness is dangerous, and sunlight can save lives. This refers to the fact that when it is dark outside, there is a greater risk of crashes. Visibility is reduced and drivers are more likely not to see pedestrians or bikers on the road. Because it is much safer for drivers to be on the road during daylight, the key question about whether daylight-saving should end or should continue throughout the year is when sunlight is the most beneficial. Those who believe daylight-saving time should continue believe it is better to have brighter hours in the afternoon while those who believe that daylight-saving time should end believe that it is better to have sunlight in the morning. One argument for perpetual daylight-saving time is that there are more people who are awake and active at 5 p.m. than at 7 in the morning. It is better to have light out for longer when more people are active so drivers are better able to see pedestrians in the early evening. Some evidence seems to support this position. For example, a 2004 study showed if an hour of sunlight was added to each evening year-round, this could prevent as many as 170 pedestrian fatalities and 200 fatalities among motor vehicle occupants. There are also concerns the abrupt shift in time caused when daylight-saving time ends could result in drivers being less safe because they have difficulty adjusting. In the immediate wake of the change, drivers tend to operate their vehicles as though it is light, even when it is dark. This means they don’t slow down the way that they should in order to be better able to avoid pedestrian or motor vehicle collisions. The counterargument, however, is it is better for children to end daylight-saving time so it is bright in the morning when kids go to school. This argument is why the National PTA opposed moving daylight-saving time from April to March.